Our range of products include folding stretcher, emergency recovery stretcher, canvas stretcher, roller shifter and hospital stretcher. 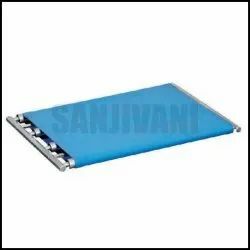 Leveraging on our intelligence professionals, we are presenting a wide assortment of Folding Stretcher. The trolley is loaded with an advanced medical system that includes one pc control box, and one pc handset. Moreover, it has 50 mm x 25 mm CRCA tubular framework attached with four section perforated CRCA sheet top. Apart from this, clients can get the trolley designed as per business requirements. 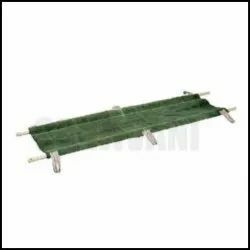 We are successfully ranked amongst the top-notch entity offering a wide range of Emergency Recovery Stretcher. The trolley comes with features such as height adjustment and Trendelenburg / reverse Trendelenburg position by screw and lever mechanism. Furthermore, the oxygen cylinder cage and I.V rod and stainless steel swing away type side railings. 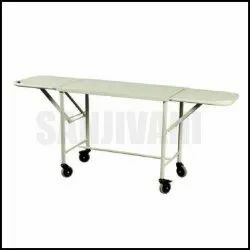 We are a reckoned name engaged in developing high-quality Canvas Stretcher. 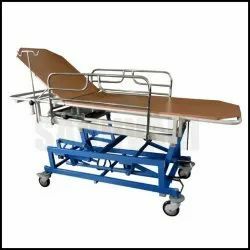 Stretchers are mostly utilized at hospitals and nursing homes and due to space constraints, we bring forth the foldable stretchers that are made from heavy-duty canvas material and can be stored easily when not in use. The easy to clean stretchers are designed innovatively for a fatigue-free grip and we are providing the quality product at the best price. We have exhibited our technological expertise to manufacture the best quality Roller Shifter. 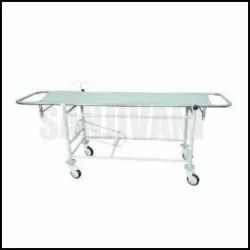 We are well acclaimed as a prominent firm engaged in offering highly demanded Hospital Stretcher. The easy to move stretcher is mounted on a premium quality trolley that is made under strict quality supervision. Designed thoughtfully to transfer patients from one place to another, the stretcher trolley is also available in stainless steel material. Further, the lightweight trolley can be ordered in the approximate size of 2030 mm L x 610mm W x 870 mm H.